We’re thrilled to present this exciting new collaboration between Sue Johnson and Lindsay Art Glass, the vibrant “Under the Sea” Lamp. 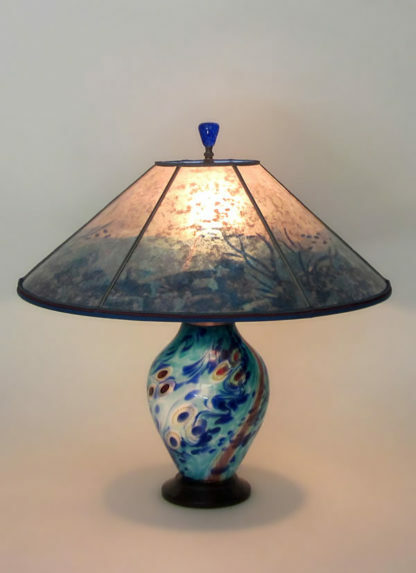 Deep blue and turquoise, with a touch of deep red, create a swirling underwater world. 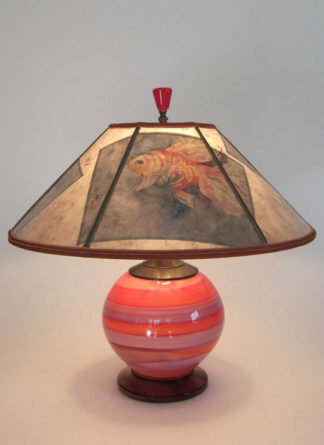 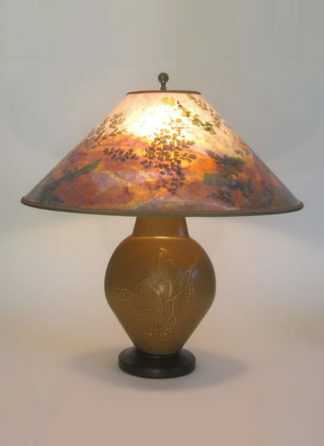 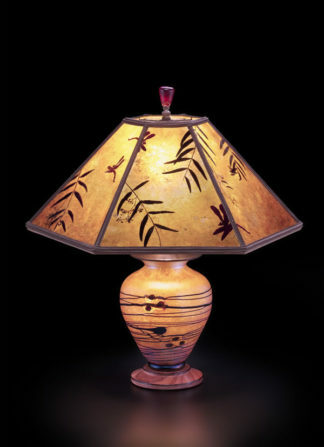 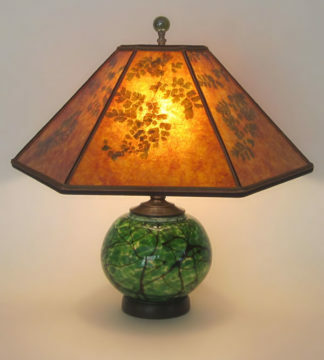 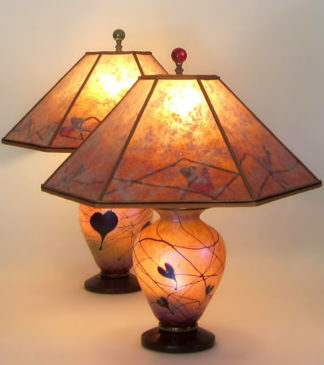 As with our other Lindsay Art Glass lamps, “Under the Sea” is lit from within, giving the option of lighting the lamp only, the shade only, or both together, as shown here.